We dedicate our song to all those children who, with only guide hope, sought for their freedom and peace under tremendous conditions. 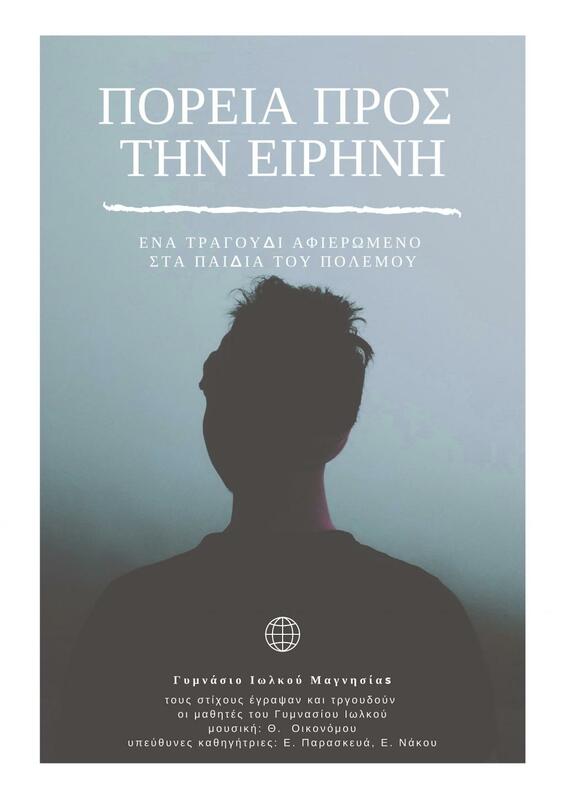 “After the war I found peace here”, the student sings in his own language and then in Greek he recites the phrase “In the hate of the world I shout “I love you”” giving a shockingly strong answer to those who are suspicious of the existence of these children between us. In order to write the lyrics of this song, the reception class of our High School worked with Professor Eleni Nakou in charge. His students narrated in English the experiences of their adventurous journey as they flee away from war and death and seek life and peace. The narrations were translated into our language and compounded with lyrics written by the pupils of the B1 class of our school. The musical composition created to invest the specific lyrics belongs to the Professor of Music. Mr. Thomas Economou, who made the recording with portable equipment in our school as well as the final music production. The overall supervision and responsibility for the creation of the song was by Mrs. Evangelia Paraskeva, a school philologist.